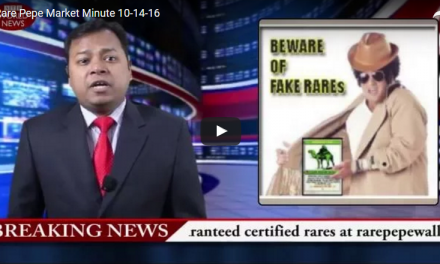 The market for “RAREPEPE“, the original first issue of a certified rare PEPE, is heating up. This rare Pepe digital asset is up from 30 XCP, to 35 XCP earlier today. The latest asking price on the XCP DEX is now 40 XCP. 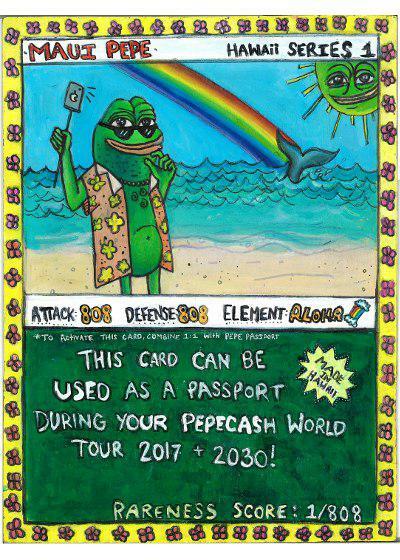 With only 300 ever issued, this unique first rare Pepe is a most powerful Pepe. 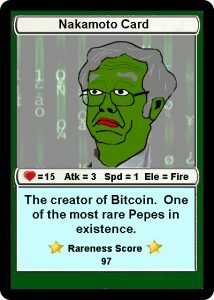 The main reason to hold a RAREPEPE is its unique rareness as the first among rare Pepe’s. Holders of this asset have been known to receive bonus airdrops of other rare Pepe assets, as well as an original distribution of PEPECASH, dropped into asset holder’s wallets from time to time by the Rare Pepe Foundation. 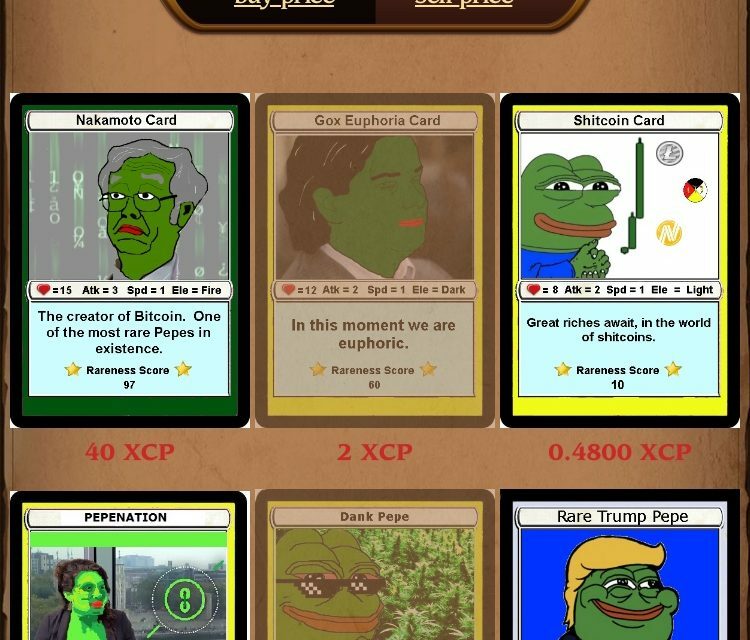 That’s another good reason why smart players in the Rare Pepe market hold RAREPEPE. Market Disclosure: This author holds a RAREPEPE.